Red Thread Adventures: Flipping Urals! The day started slowly. 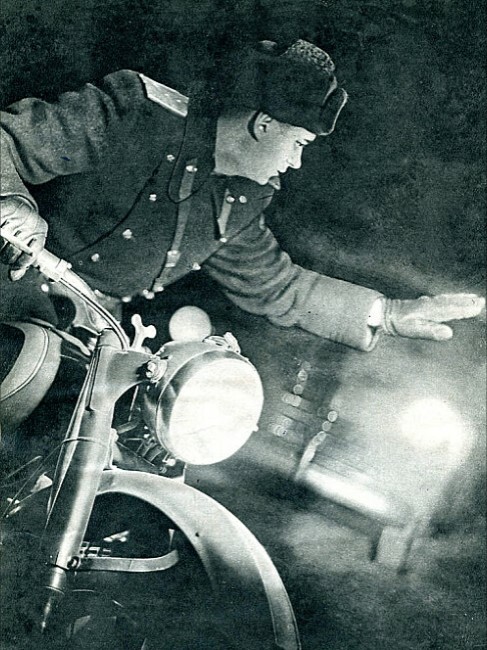 After an hour troubleshooting their broken headlamp, Pat and Guy realized the rat’s nest that is Ural wiring wasn’t about to yield. Eva was running a bit rough, but started soon enough. Björn and Rico’s bike, however, was acting up and mis-firing on one of its two cylinders. We left with the intention of reaching the next major town and a mechanic. About 40 kilometers out and 20 minutes into Björn’s second repair, we split into two teams and Zaya and I hung back with he and Rico. Light snow had dusted the icy road making it wildly slick. The treacherous conditions presented us with a whole new lesson in throttle handling. Now a tiny bit too much oomph meant a 360 degree spinout (which can be fun). The ruts were smaller, but trickier. Struggling for control we hit one at the wrong angle and I rolled on the throttle a little heavily. 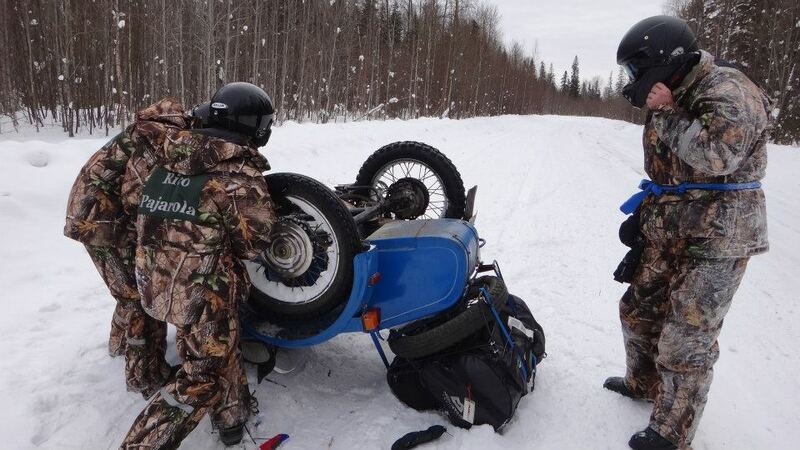 The bike snapped to the right and when the sidecar wheel caught on a patch of snow we summarily flipped over. I went down first and hit my head and the bike landed on top of us. Looking up I did a quick inventory. Pain? No. Twisted limbs? No. Breathing? Yes. Bleeding? No. Zaya - you okay? Yes. That out of the way the next thing I noticed was petrol and oil leaking out - crap - have to turn this thing over or we’ll be stuck. Pushing against the sidecar felt oddly soft and I realized that I was pushing on Zaya. By this time Rico and Björn had pulled up. With their help we managed to wriggle out and together put Eva back on her tyres before she lost all her fuel. There are three main things they teach you in motorcycle training school. Don’t drink and drive, always wear a helmet, and make sure that you are in the right frame of mind. Two out of three won’t do. I was sober and wearing a full face, DOT approved helmet, but realized that in my frustration with the day’s late start I was over cranking things in the conditions. Rico said later that the crash looked really ‘awful’ and fortunately neither of us was seriously hurt.